OSHA discovered an ice plant “failed again to guard machinery.” An employee at the location fell into an unprotected conveyor while breaking up ice. It resulted in the amputation of both the worker’s legs below the knee. OSHA laid down the law on November 18 for the May incident, citing the ice company for one willful, five serious and three other-than-serious violations as well as proposed fines of $77,000. In 2012, an employee of the same company had a foot amputated ensuing the touching of a conveyor. 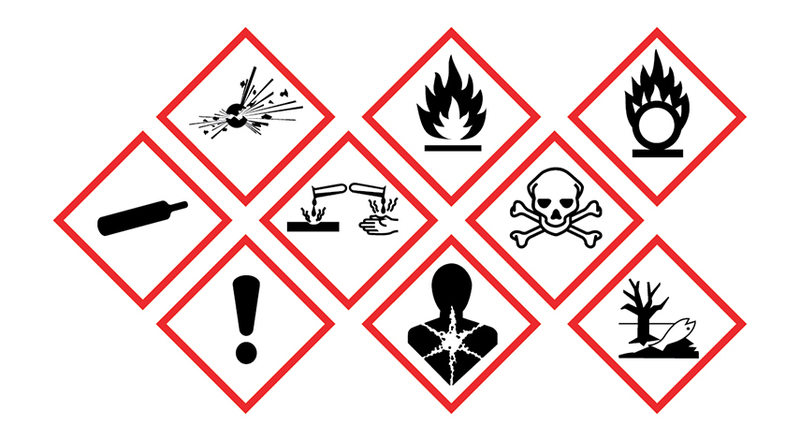 How has the world been able to safely ensure the manufacturing, distribution and practice of extremely hazardous goods? The Globally Harmonized System of Classification and Labeling of Chemicals (GHS) came to fruition in 1992 at the United Nations Rio Conference. At this time there was a large increase in international chemical trade. Most of the countries involved in such trades used different chemical and labeling systems that posed many potentially dangerous situations which caused the United Nations to decide that the populace needed to be on the same page. And so GHS was born.